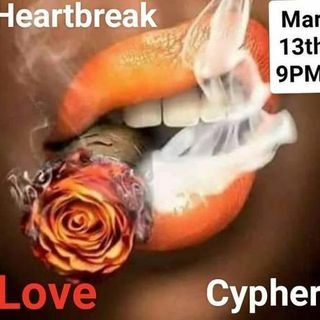 Epiphany RADIO Spotlight presents "The Heartbreak Love Cypher"
by Epiphany Radio The 4Real Ent. Award-winning Poet Eric Crow Craven, Author/Poet Cynannon Brown,Poet Pawcram, Poet Porcha A-hava Hiley! !